AWD! 1-Owner! Numerous Service Records! This 2014 Dodge Durango is clean inside and out and has a great set of Michelin tires. It is nicely equipped with heated leather seats in front and rear, sunroof, navigation, power liftgate, rear park sensors and camera, power accessories, Bluetooth, remote start ignition, tri-zone climate control and more. 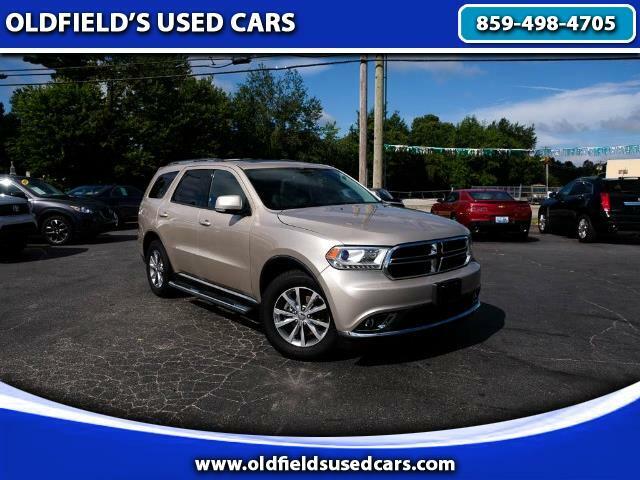 This Durango has plenty of seats, good cargo capacity and a smooth and comfortable ride and it was rated a Top Safety Pick by the Insurance Institute for Highway Safety. It's in great condition, has a lot of looks and is priced well behind retail book. It still has a small amount of powertrain factory coverage left. Please call for more information about this Durango or come test drive it today.